Spacious tri-level on secluded cul-de-sac within walking distance of the Pinellas Trail and just minutes from popular Dunedin beaches. 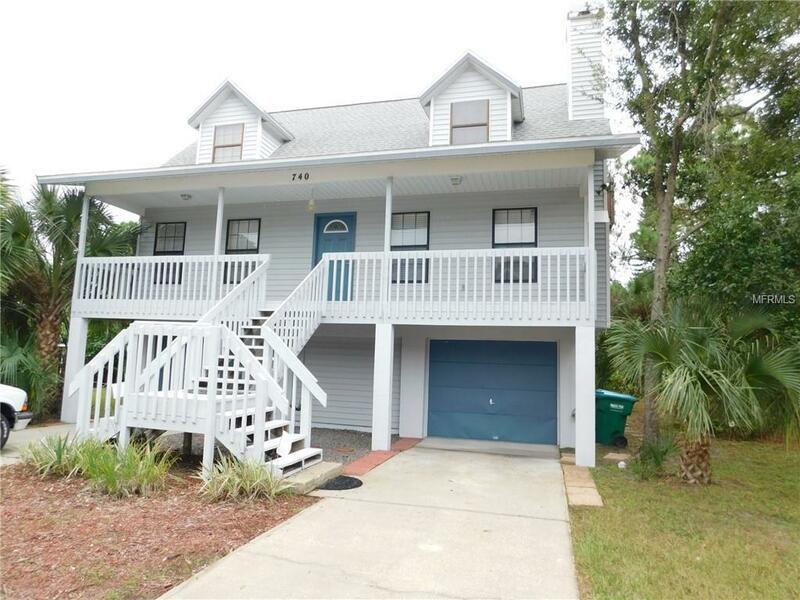 Freshly painted inside and out with long balcony overlooking saltwater canal providing canoe/kayak access to St. Joseph Sound. Master bedroom on living level, along with inside utility. Living room has wood burning fireplace. Home has gas stove and water heater. All appliances are covered by a Broward Home Warranty Plan. Two large bedrooms upstairs with Cape Cod dormers and hall bath. Owner uses one garage bay for non-operating car storage, but there's still one available for your use. Ozona Elementary, Palm Harbor Middle and Palm Harbor University High. Lot is canal front and not fenced.